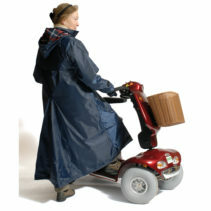 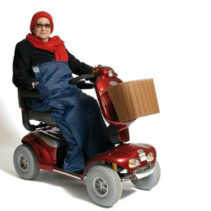 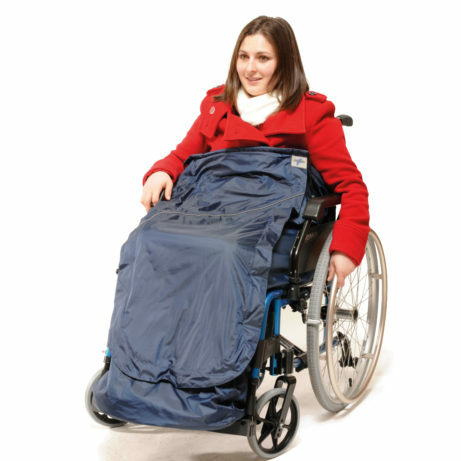 The 3 in 1 Wheely Apron is quick and simple to put on. 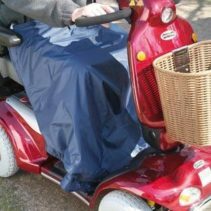 The 3 in 1 can be worn as an unlined apron for rain protection, seperately as a fleece apron for warmth or you can combine the 2 for warmth and rain protection. Secure at the waist with a Simple Braid fastening and at the footplate with an elasticated base.